As one of the oldest neighborhoods in the US, Chelmsford was incorporated in 1655 as a lumber and limestone quarry town. Later transforming into a factory town, it was a hub for industrialism throughout the mid-late 19th century. Today, it is rated one of the best suburban areas to live in, with its renowned education system and close proximity to the US Route 3 highway. We over at Salemi Exteriors are happy to bring top quality roofing and siding contracting to your area! As one of the key cornerstones of your homes exterior, your roof is vital for internalizing heat, regulating room temperatures, and keeping out wind and debris from entering your. Therefore, it is important to regularly maintain it, conduct regular inspections, and when it’s time, replace it. Salemi Exteriors offers all of these services, and provides roof contractor work of the highest caliber. With over 10 years of experience handling roofs, we feel confident in our ability to deliver quality work to your roof. Siding is another key factor in our work, as it goes hand in hand with roofing in your homes defensive system against damaging outdoor elements.Our experienced contractors are skilled at installing and replacing siding, utilizing their knowledge to help you make educated decisions that will benefit both you and your home. To ensure that we are creating the best quality facade for you, we team up with CertainTeed vinyl siding to provide an uncompromising mix of durability, options, and value. Providing the BEST roofing, siding and gutter installation in the Billerica area since 2009! 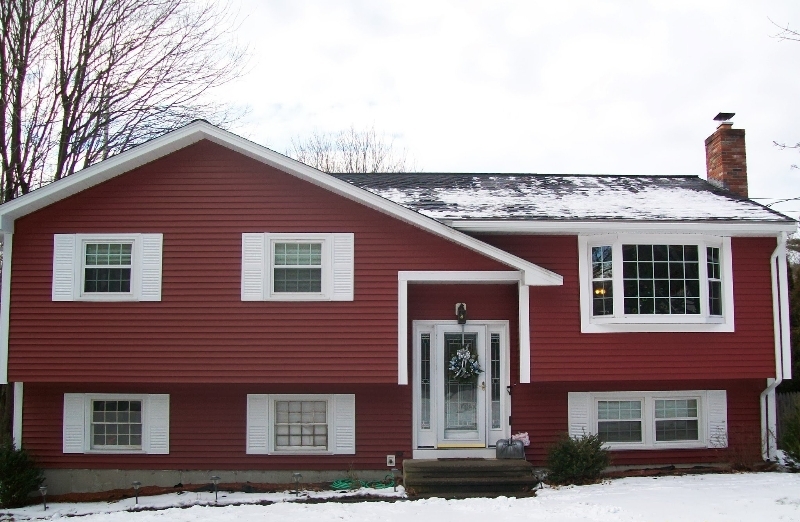 Our experienced team will do quick and efficient siding & siding installations.